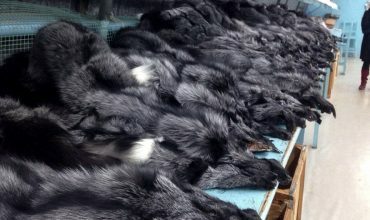 Rattled by recent major advances by the anti-fur movement, the fur industry is now putting huge pressure on the Serbian government to delay the fur farming ban (that is due to become effective in 2019) – likely following the Bosnian example. In a recent meeting of the Sector for Agriculture, Forestry and Water Management of the National Assembly of Serbia, held on 20 February 2018, fur farmers were able to spread propaganda and misinformation about chinchilla fur farming. As the vote in the Serbian parliament on legislation amendments could be a matter of two weeks, we need to act quickly. 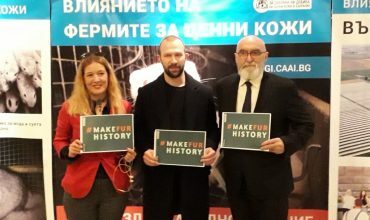 We have already written to Serbian politicians and a joint letter from the international Fur Free Alliance has been delivered to the Serbian parliament. National Assembly of Serbia, held on 20 February 2018. Walloon and Brussels regions of Belgium. Even in Norway and in Denmark – the heartlands of the fur farming industry – legislators have taken steps, to either ban the industry entirely (Norway) or partially (fox farming is banned in Denmark), on the grounds of animal welfare. Hungary is another country where a partial ban on fur farming is in place. currently ongoing in Poland, Luxembourg and Belgium. correct and supported by science. only 42 colonies of long-tailed chinchillas left, and the population has declined ever since. with multiple males, by wearing a polygamous necklace that restrains them from moving. Furthermore, the unnatural conditions in which chinchillas are kept and bred causes stress related abnormal stereotypical behaviour, fear, reproductive disorders and offspring mortality. electrocuted on Serbian fur farms, a killing method that is widely condemned as inhumane. 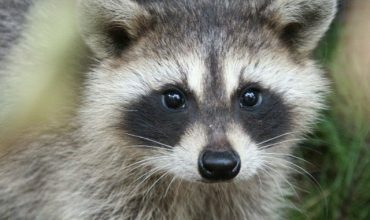 Animal fur is a non-essential fashion product which cannot be produced in an ethical way. making commitments to drop animal fur from their collections. We urge Serbia to stay true to your legislative commitment to ban the farming of animals for fur. We ask that you uphold the wishes of the public and the politicians who voted in favour of the Animal Welfare Act 2009 and end this internationally condemned industry from operating in your country, as previously agreed, by January 1st 2019.